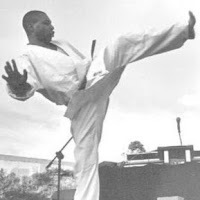 Sensei Gregory C. Lewis' Modern Karate. Traditional Martial Arts for the 21st Century. 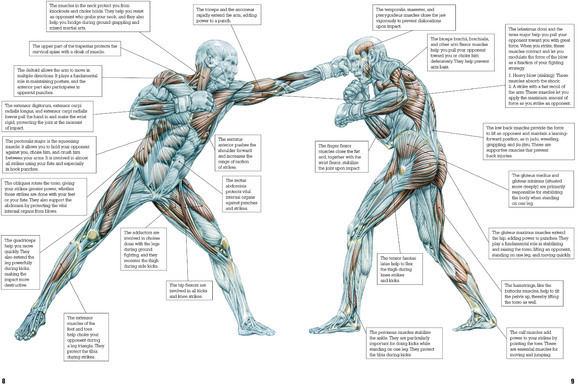 Real-World Self-Defense, Functional Fitness, and More. 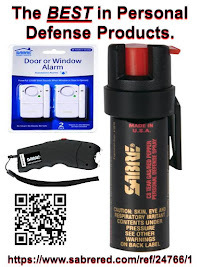 Avoid Being Mugged! Tips From A Veteran Mugger. Ask Your Sensei. Modern Karate FAQ (Pt 1). Q: What makes this style of karate "different"? 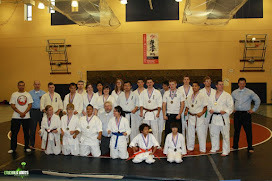 A: We are a modern, yet traditional karate school. 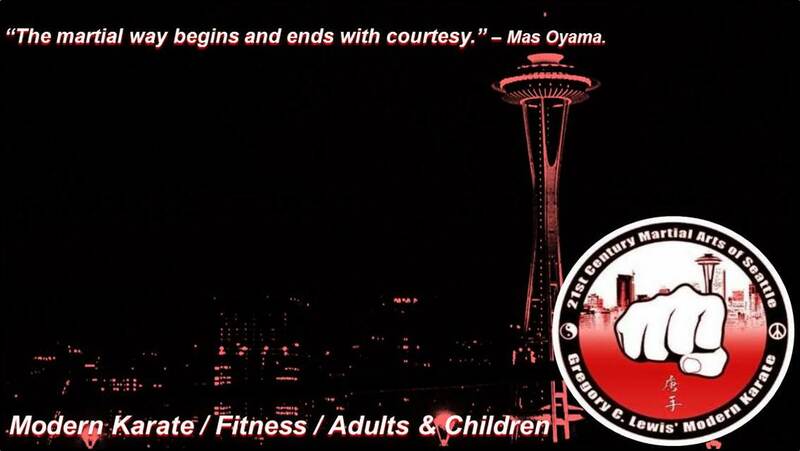 We like the aesthetic of traditional Japanese full-contact/bare-knuckle/knockdown karate: courteous and friendly training partners from all walks of life gathering together in fresh, clean, bleached white uniforms; in a simple, spotless, safe, training space. 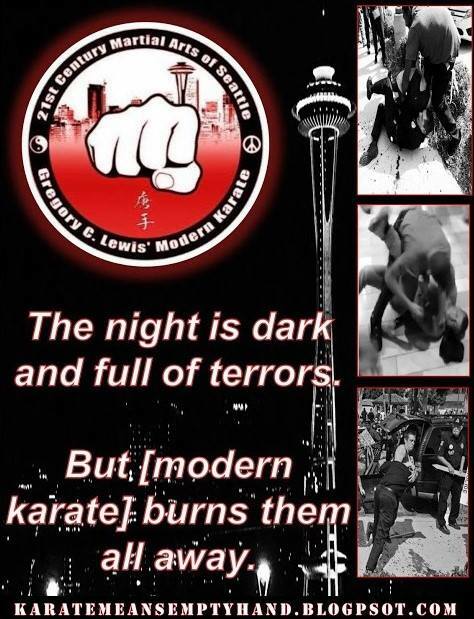 However, unlike many classical, traditional karate schools, and even many full-contact sport-fighting gyms, we prepare students specifically to evade, diffuse, and ultimately survive violent encounters in their many forms, as they actually happen in the United States in the 21st century. Warning: sudden graphic violence. This is the kind of stuff we study in order to figure out how to avoid or stop such an attack. 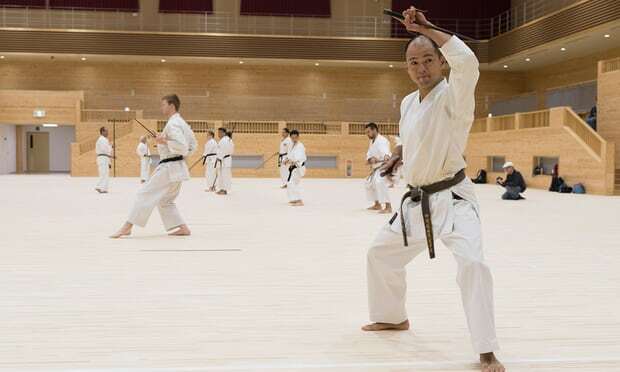 With karate now included in the 2020 Tokyo Olympic Games, check out a new complex dedicated to the martial art on Japan’s most southerly islands. Read more here. 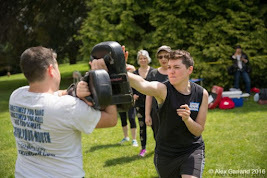 Adult Classes Every Tuesday and Thursday at 7pm on First Hill (Seattle)...! 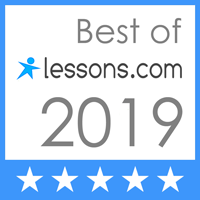 Comprehensive, real-world self-defense instruction and MORE! Bio, History, Essays, & More.